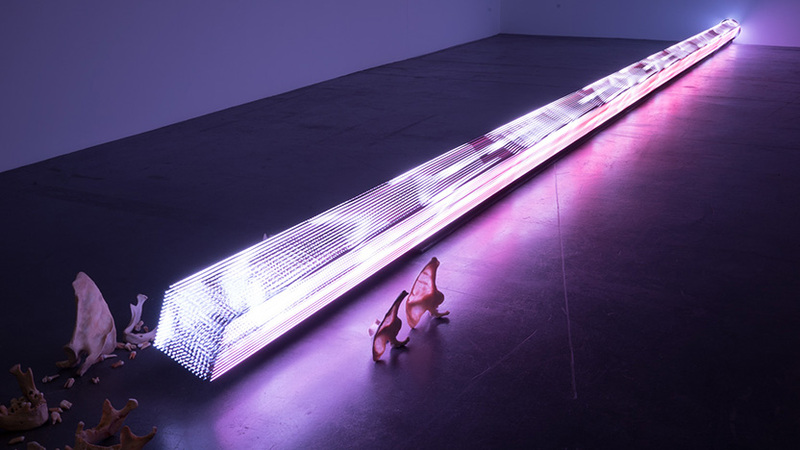 Tweaklab was commissioned with the LED beam installation of the art pieces “Ram” and “Move”. 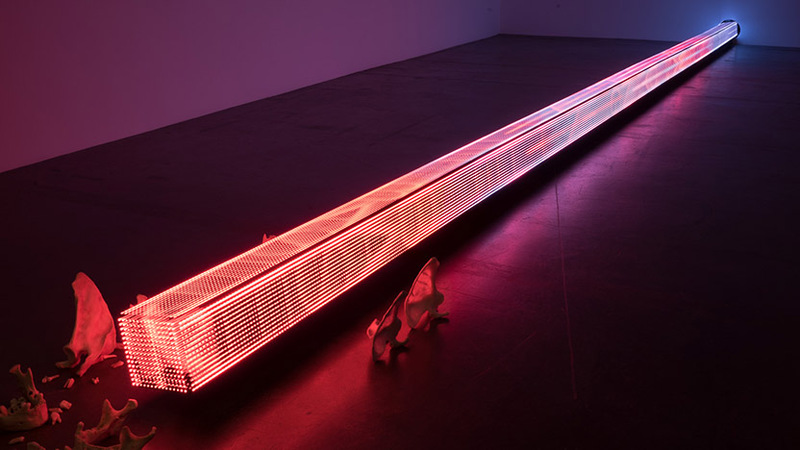 Since 2002 Tweaklab has installed the LED artwork by Jenny Holzer in Europe, America and Asia, as for instance her great solo exhibition “Protect, Protect”, which was on display at MCA in Chicago, at the Whitney Museum of American Art in New York and at the Fondation Beyeler in late 2009. 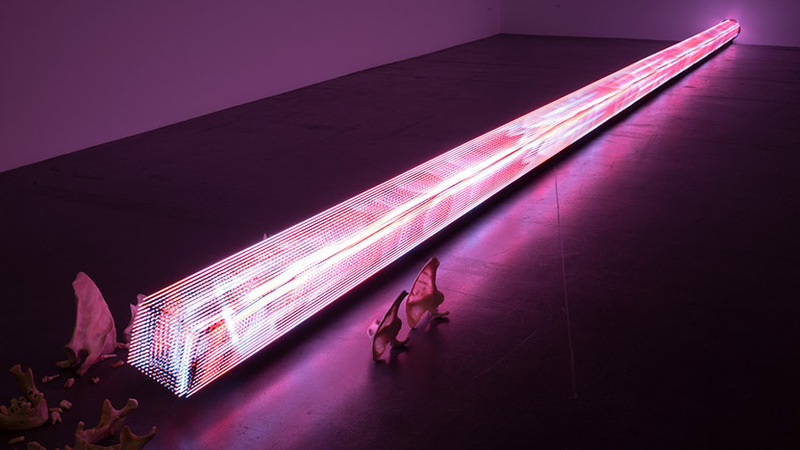 This exhibition contained a variety of works of art, as for example the 22-part work “Monument” consisting of LED-semicircles, or the multipiece LED floor work “Purple” which is made up of quadrants. Be it a handrail in a Helmut Lang Store in Mailand or Paris, or a collective exhibition like the one at the Liljewalch Konsthall in Stockholm, or a work at the Rockbund Art Museum in Shanghai, it is again and again a matter of accepting the challenge to construct these outstanding works of art in a diverse context. Jenny Holzer’s work of art on the house front of the Novartis Campus visitor centre, Fabrikstrasse 6, which had been created by architect Peter Märkli, was planned, managed and installed by Tweaklab.